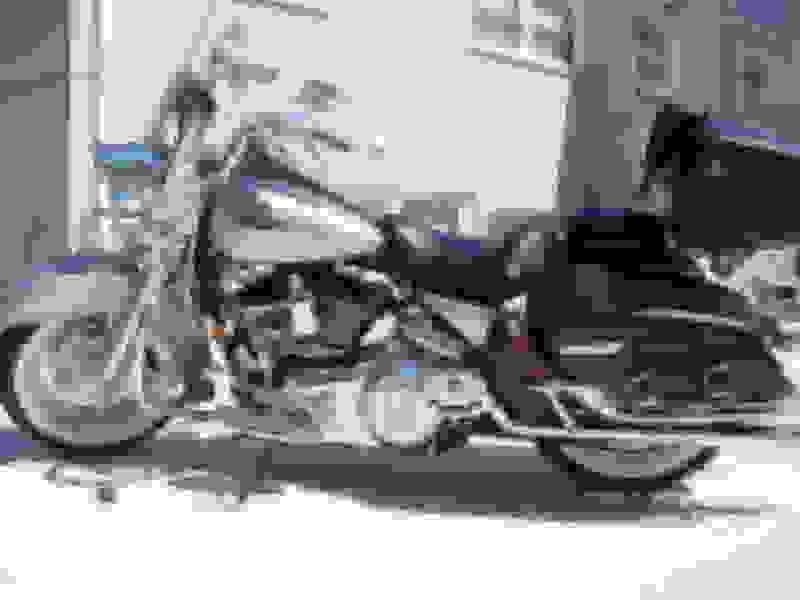 Motorcycles For Sale Place your ad here if you're selling your Motorcycle. Please read the rules for posting in this section. Beautiful looking bike! $9,000 is a decent starting point for that bike. I know you've already heard this, but you'll sell it quicker if you lower the price and sell the tour pack separately. That pack really adds nothing to the value believe it or not BUT there are a ton of people who want a tour pack that already have that bike (if that makes sense). Just for the heck of it.....list it for sale on the touring parts section. You'll be shocked at how much interest it gets. It really is a damn nice bike!! Too bad you can’t really recoup the upgrades but it will make it sell quicker than other similar bikes with the same price. You might put some of the stock items back on and sell the parts. Put that beautiful bike on Craigslist for 11K and BE PATIENT. EDIT: Damn good deal right there at $9k. I’d buy it in a minute if I was in the market. The problem is everyone is giving them away these days except the dealers. There is a glut of low mileage HD’s with bling for very cheap. Buyers market. Sad. Last edited by BigMike; 01-28-2019 at 01:29 PM. I figured I would put it here first. Then I'll try Craigslist and/or autotrader. I really don't want to take the parts off but I do have a lot of the originals along with the speedo, stock pipes etc. I was at the dealer over the weekend and he showed me he has a lot of used and new bikes just sitting there. I also read an article that the only place these bikes are in demand is in China! BTW I'm not really tall so I had the bike lowered about an inch (shocks) and had the seat professionally chopped & filled with memory foam. What you can't see is a lot of the chrome that I put on since these pics were taken. I also had the primary housing replaced with the chrome one. I'll wait and see once spring gets here. I have to sell the bike. I wish I could keep her but getting old and the ticker is not what it used to be let alone everything else. I understand about the price but I'm not going to give it away. I live just north of Chicago - Niles, IL. I'm reviving this thread because I finally decided to sell this bike. Haven't driven it in about 2 years except to the dealer for a battery and oil change. Still has about 7200 miles on it. Everything on the bike is going even the tour pak. I want to get $9000 for it. Has over $5000 worth of custom stuff. Only thing wrong with it is the gas gauge the LED lights don't work well. These pics were taken a while ago but with a detail it still looks like this. Back when that bike was new the climate was different. If you really like the bike - keep it. I agree with those who suggest offering the Tour Pack for sale separately; if it sells, reduce the price of the bike accordingly. Add Facebook Marketplace to your list of places to sell. I Bought my bike from there. Many more bikes there than Craigslist. I recently sold 3 cars there in a matter of days after listing them. You may have to wait until we get a little closer to spring for the bike.